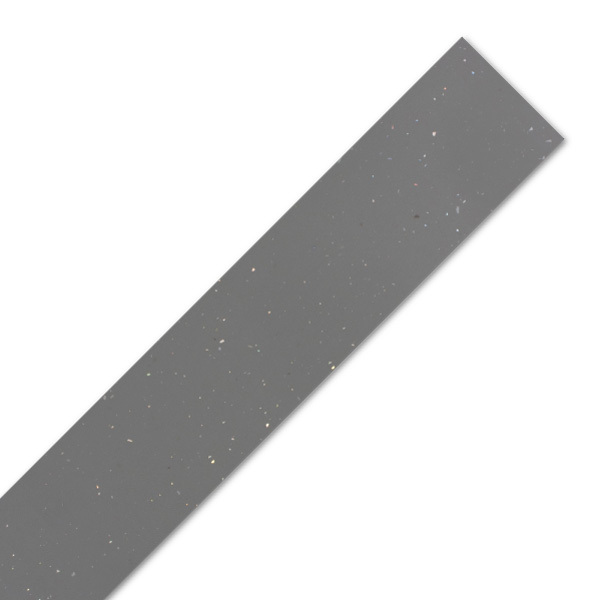 This worktop edging strip is perfect for attaining a neat finish on work surfaces that have been cut to size. Designed to match our Grey Sparkle Laminate Worktops, this grey worktop edging trim is easy to apply and suitable for a number of different worktops. Measuring 1530mm x 45mm, this gloss laminate countertop edging strip is great for creating a neat edge on work surfaces. Simply glue into place with PVA or a similar alternative, and once completely dry it can be cut and sanded down to create a flush fit with the countertop. Ideal for finishing worktops that have been cut-to-size, this grey sparkle laminate worktop edge is an easy way to ensure a neat finish on your work surfaces.